Directed by Jeremy Saffer, the clip for the project’s lead single was filmed in Los Angeles while the recording of the tune "happened really organically,” according to singer Josh Todd. “We were in the studio making the record, just kind of going through some old songs while they were setting up,” the rocker tells Billboard. “We jammed it out the first time and it was like, boom, automatically sounded right as if we'd written it, which is what we always want to achieve when we do a cover. "Our producer Mike Plotnikoff was recording the whole time and said, 'Hey, why don't you guys come in and hear this?' He put up a little rough mix of it and we were like, 'Wow, this sounds really good. We should do it.'" 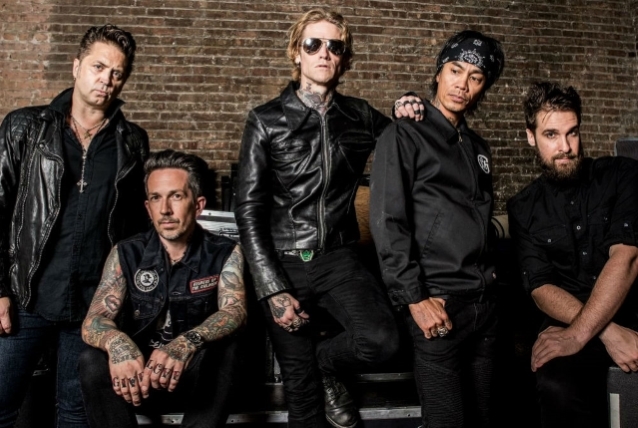 Due March 8, the group’s eight studio set delivers 11 new Buckcherry songs alongside the Nine Inch Nails cover. Buckcherry plans extensive worldwide performances throughout 2019, beginning with four Southern California shows in January followed by a month-long series of UK and European dates in February and the first leg of a North American run set to open in March.